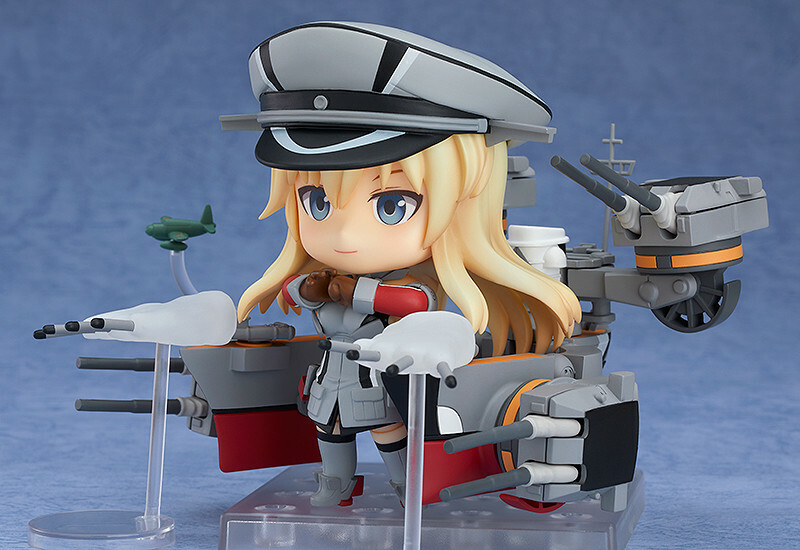 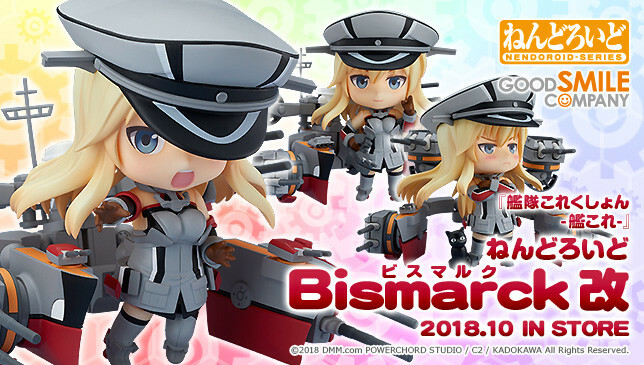 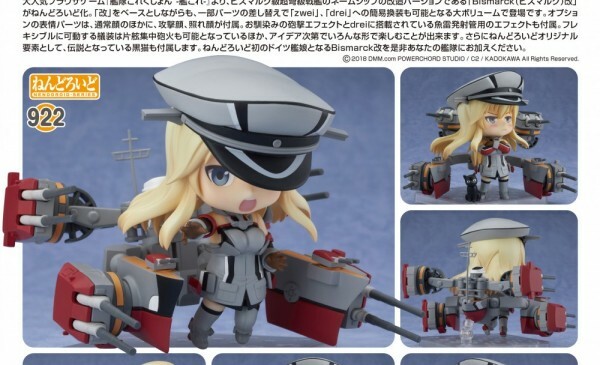 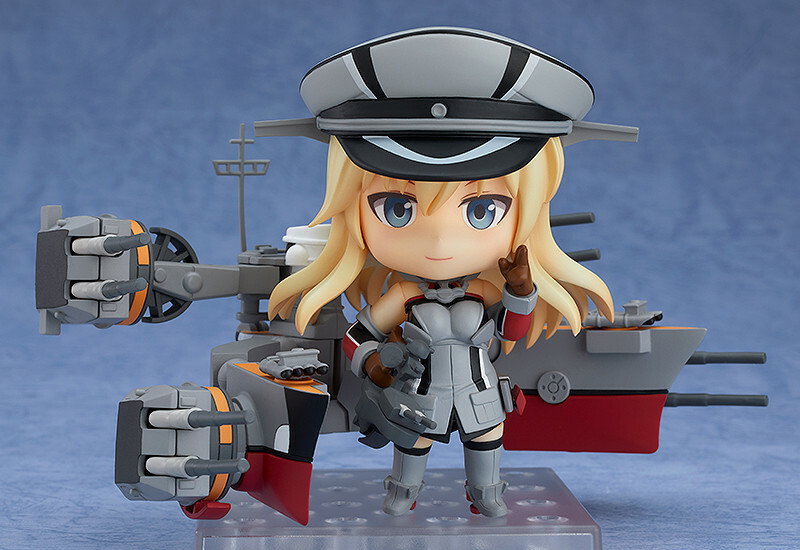 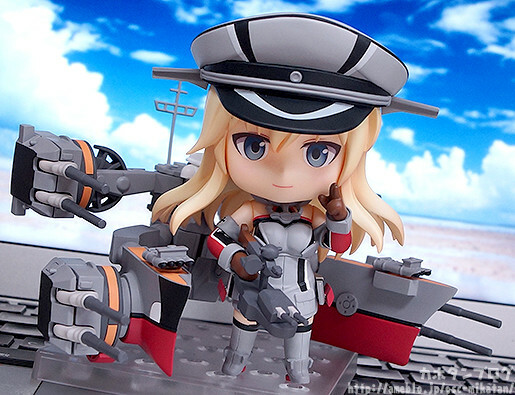 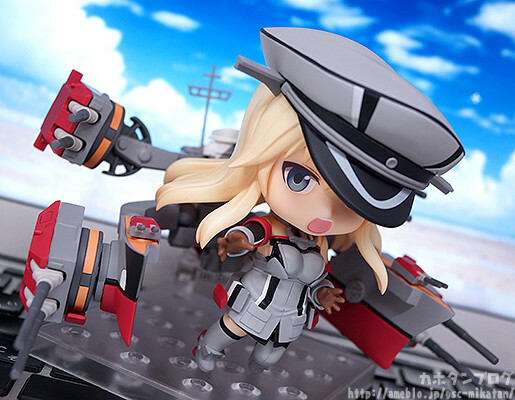 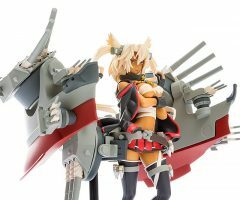 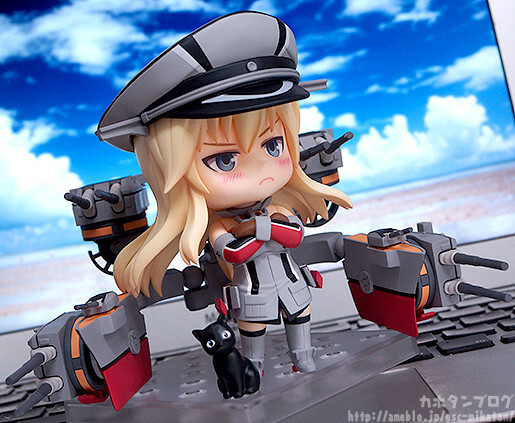 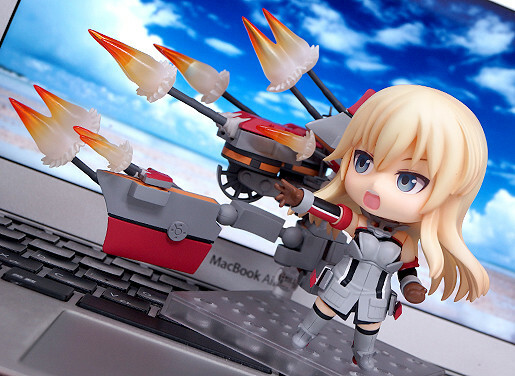 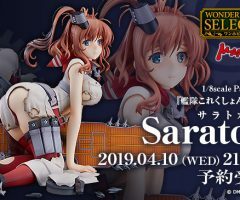 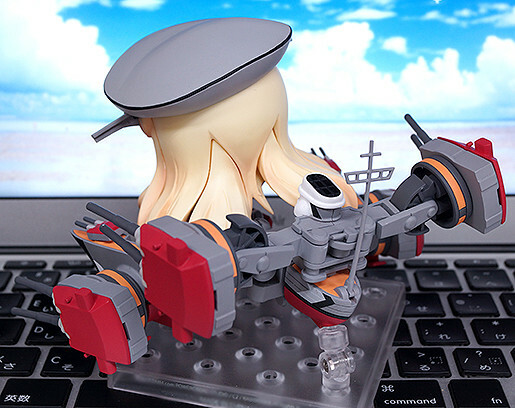 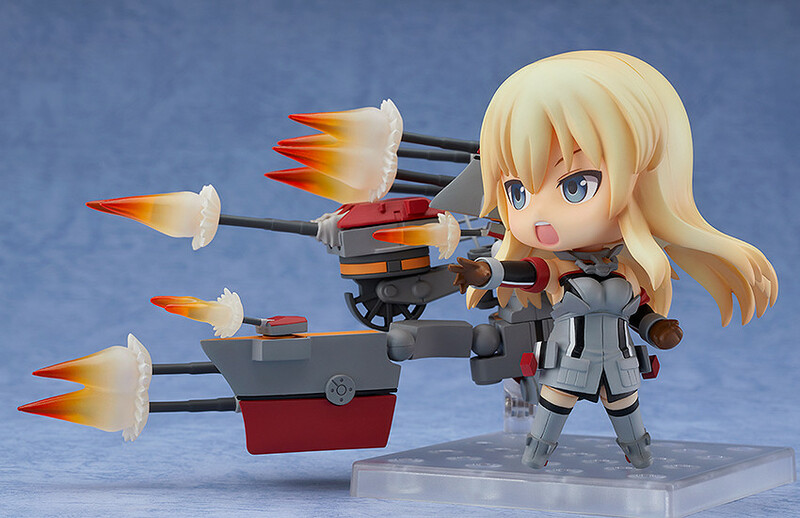 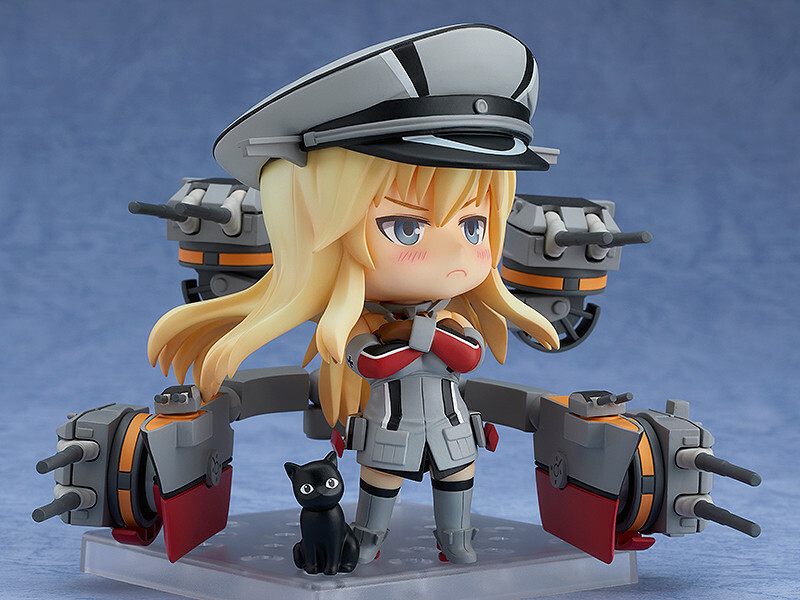 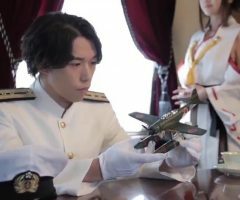 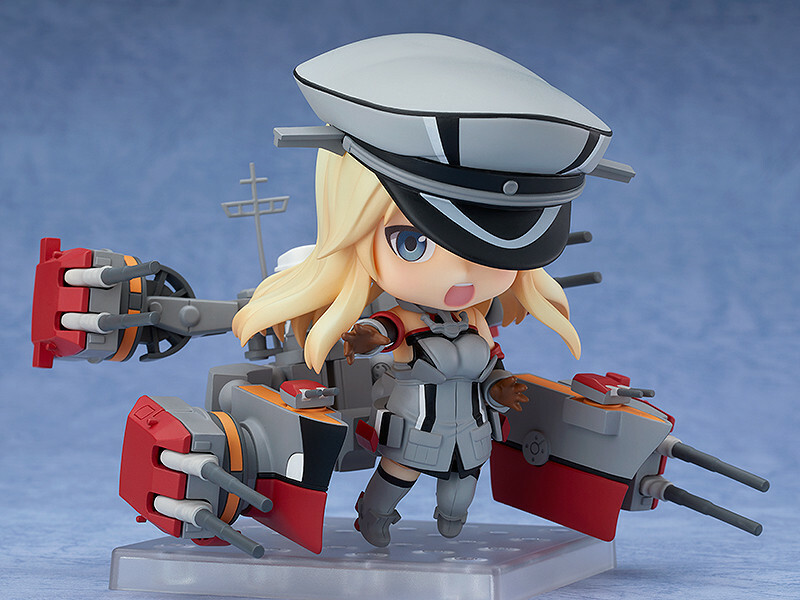 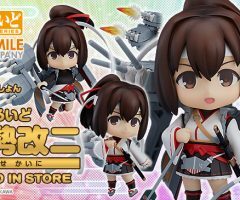 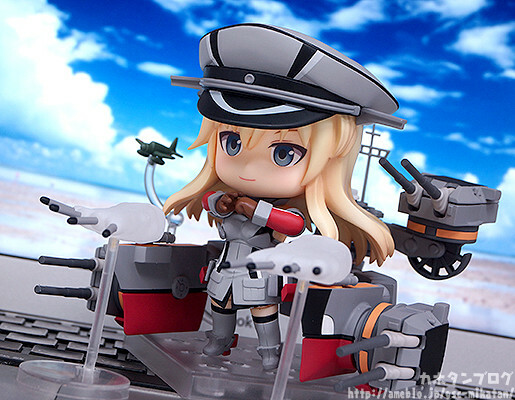 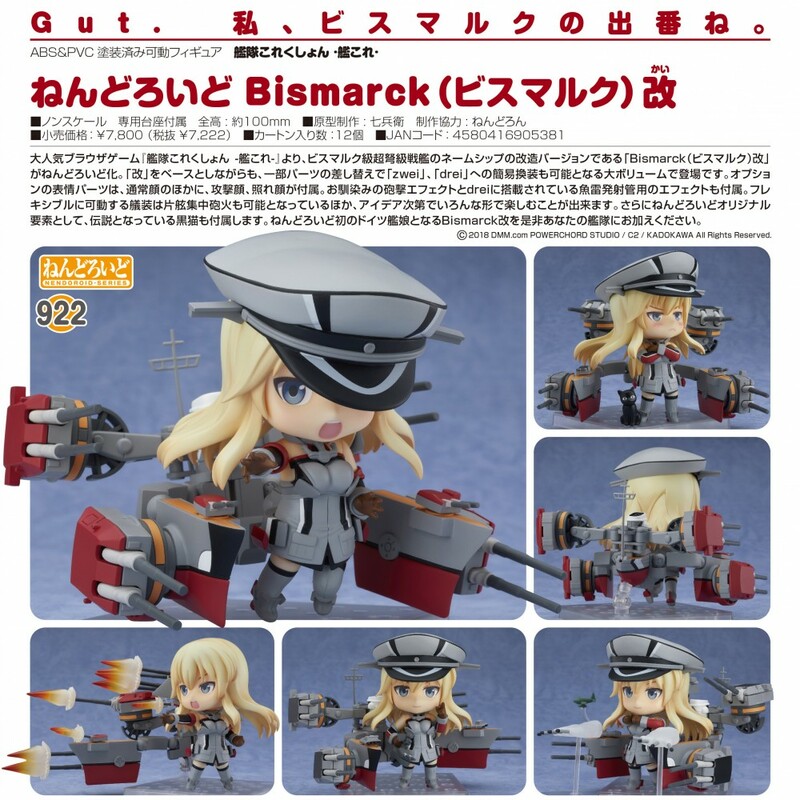 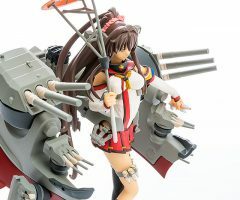 From the popular browser game “Kantai Collection -KanColle-” comes a Nendoroid of the upgraded version of the nameship of the Bismarck-class battleships – Bismarck Kai! 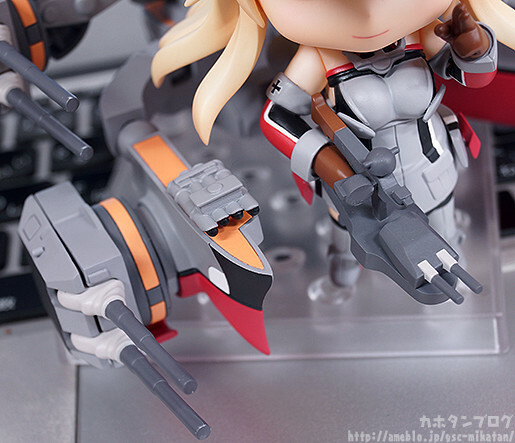 The figure is designed based on the “Kai” version, but also includes parts which allow you to partially recreate the “zwei” and “drei” versions of her as well! 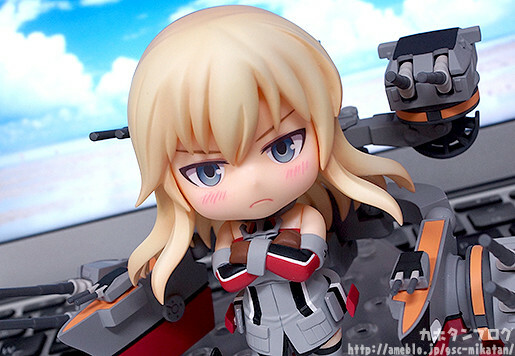 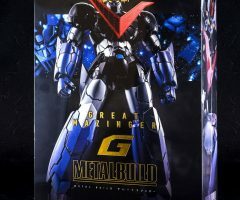 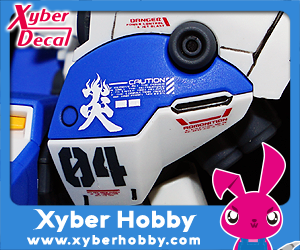 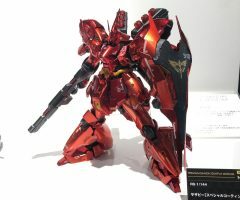 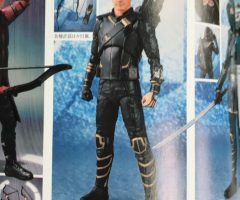 She comes with three face plate including a standard expression, a combat expression as well as am embarrassed expression. 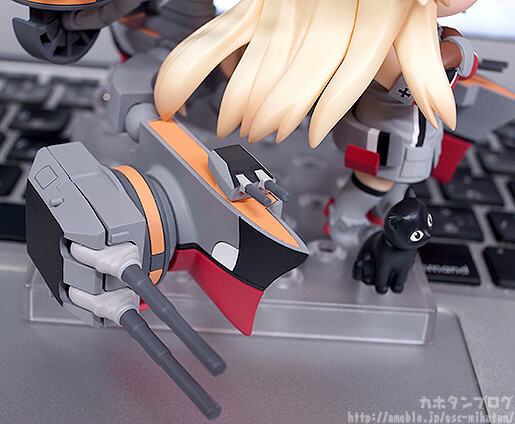 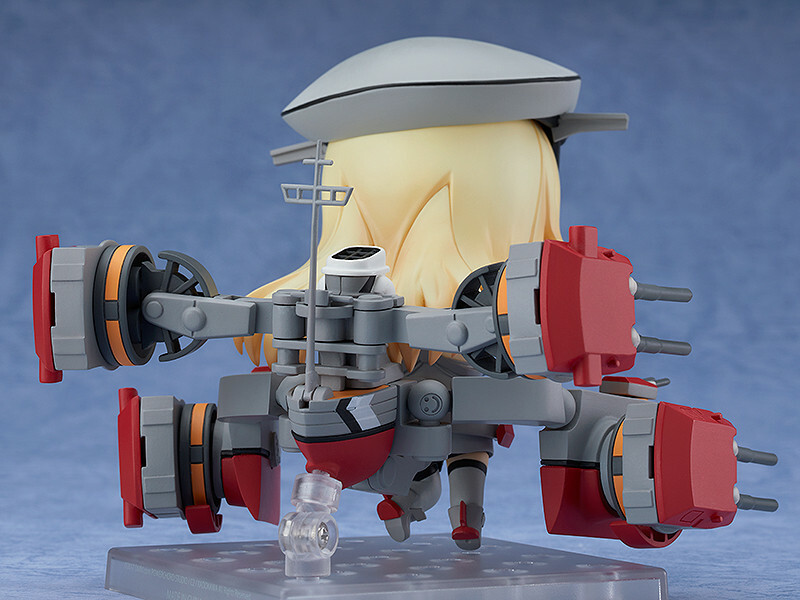 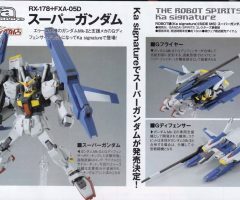 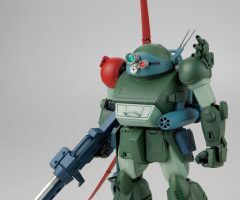 Optional parts include the standard turret firing effect parts as well as torpedo firing effect parts for displaying her in her “drei” form.